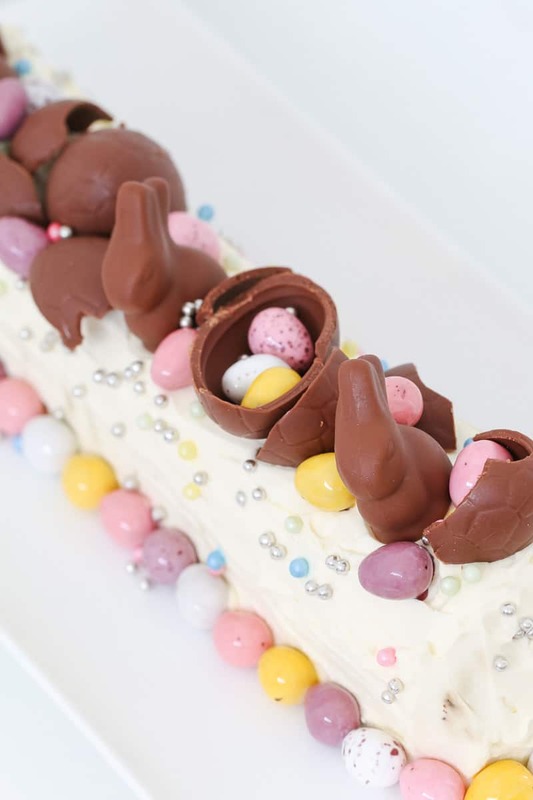 Our Easter Chocolate Ripple Cake is a fun twist on a favourite Australian dessert. 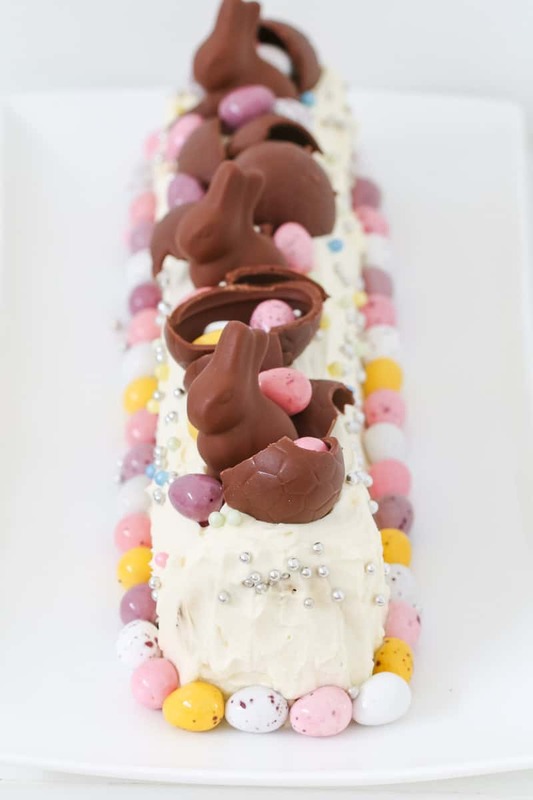 A 10 minute recipe made using Arnott’s chocolate ripple biscuits, whipped cream and decorated with Easter eggs. When it comes to simple desserts, it doesn’t get any better than a good old fashioned chocolate ripple cake… it really is the perfect no-bake dessert! 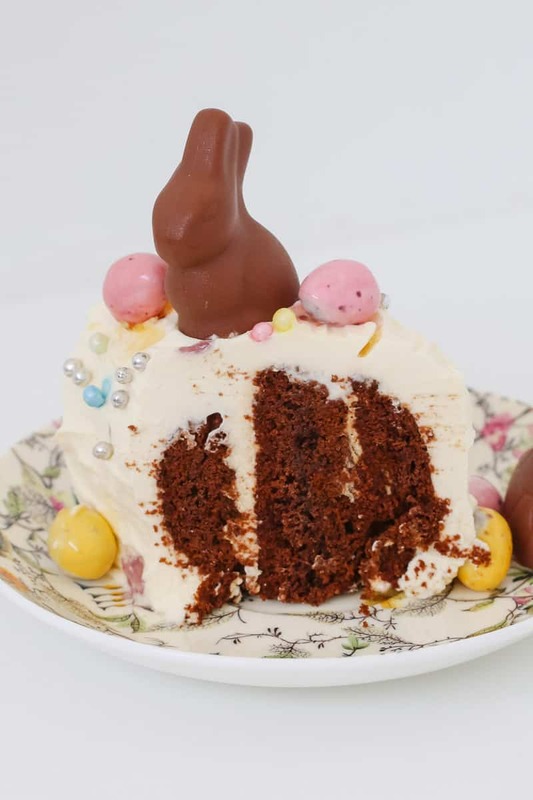 And so why not turn it into a yummy Easter dessert by decorating it with ALL the Easter eggs!? That seems like a fabulous idea, right!??? All Australian’s know and love chocolate ripple cake – it’s one of our most famous desserts. 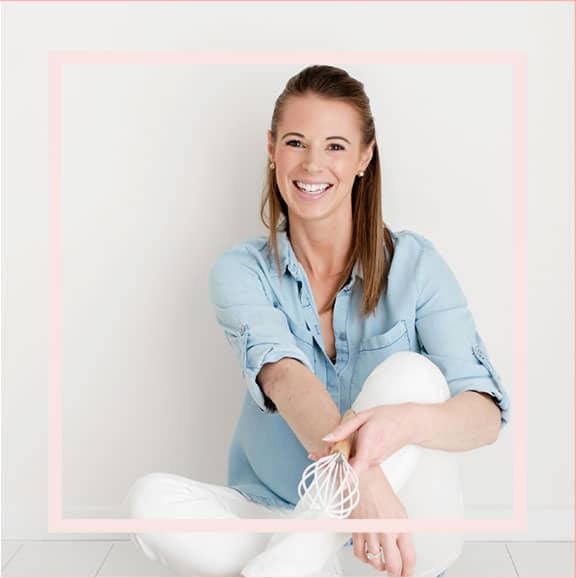 And the best part is that it only takes a few minutes to prepare, doesn’t need to be cooked… and tastes AMAZING! Chocolate ripple cake is traditionally made using Arnott’s chocolate ripple biscuits, but if you can’t buy them where you live, any plain chocolate cookie will work beautifully too. …. 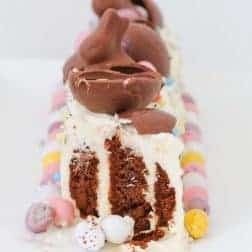 and to decorate this Easter chocolate ripple cake, I also used a mix of hollow medium sized chocolate eggs as well as mini solid eggs. 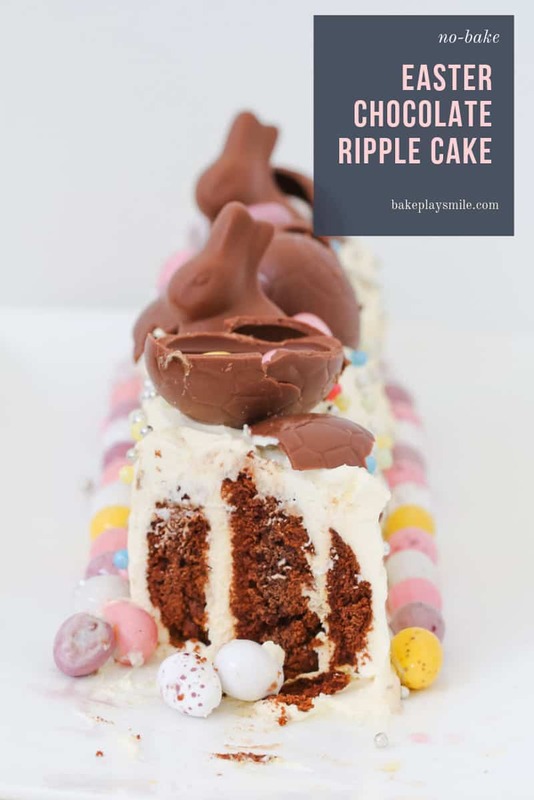 Once you’ve made this Easter chocolate ripple cake, you’re going to become addicted to how simple this dessert is. 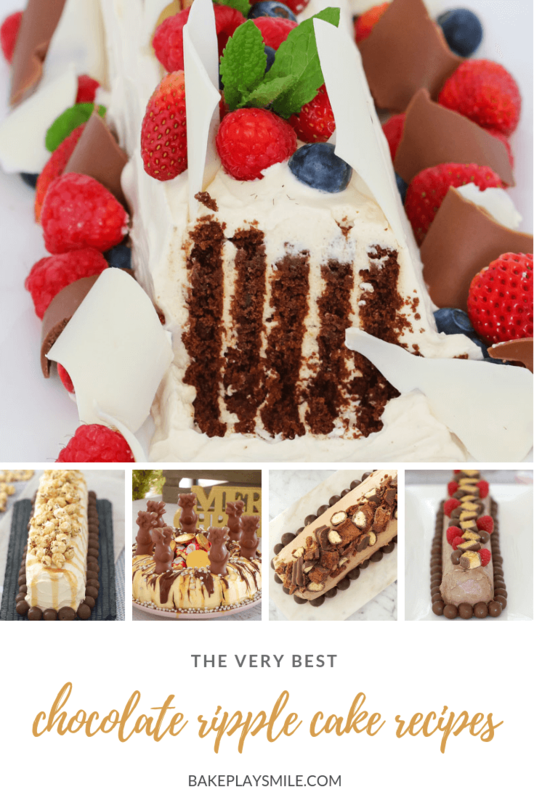 Check out my collection of the best chocolate ripple cake recipes here. 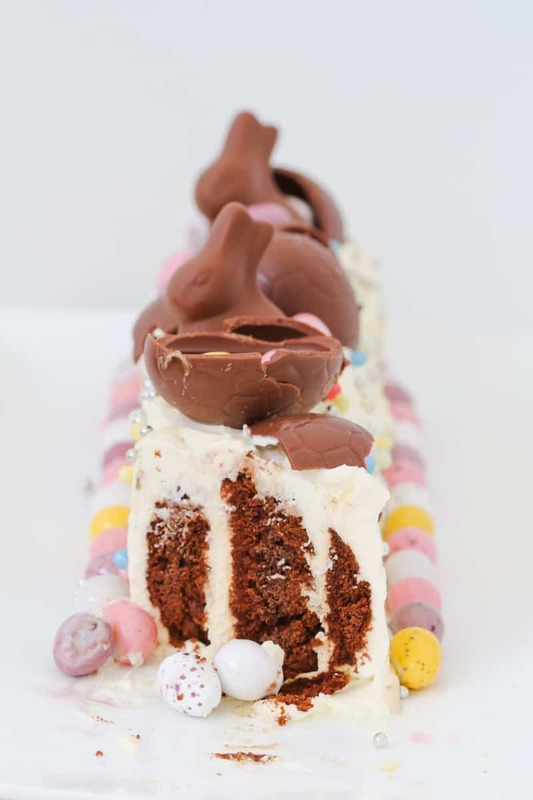 Our Easter Chocolate Ripple Cake is a fun twist on a favourite Australian dessert. 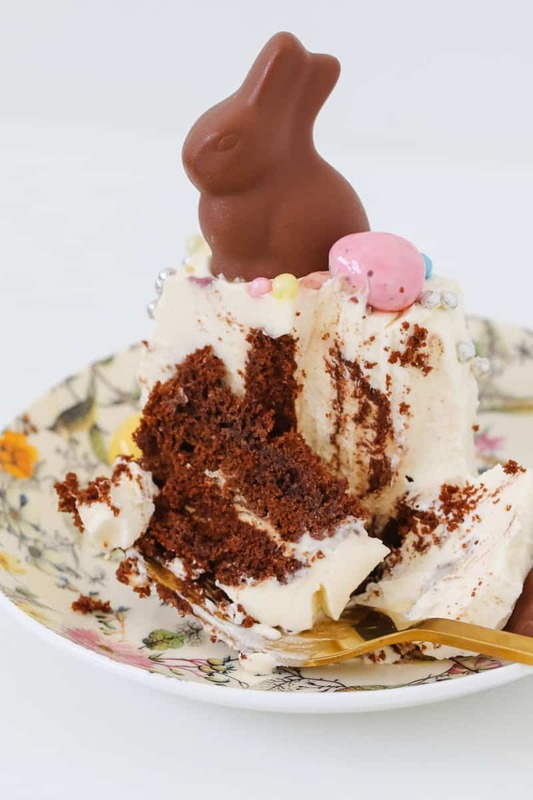 A 10 minute recipe made using Arnott's chocolate ripple biscuits, whipped cream and decorated with Easter eggs. Place the cream, caster sugar and vanilla extract into a bowl. Beat with handheld beaters or a stand-mixer until soft peaks form. Spread some of the whipped cream along the base of your serving dish. Hold one chocolate ripple biscuit in your hand. 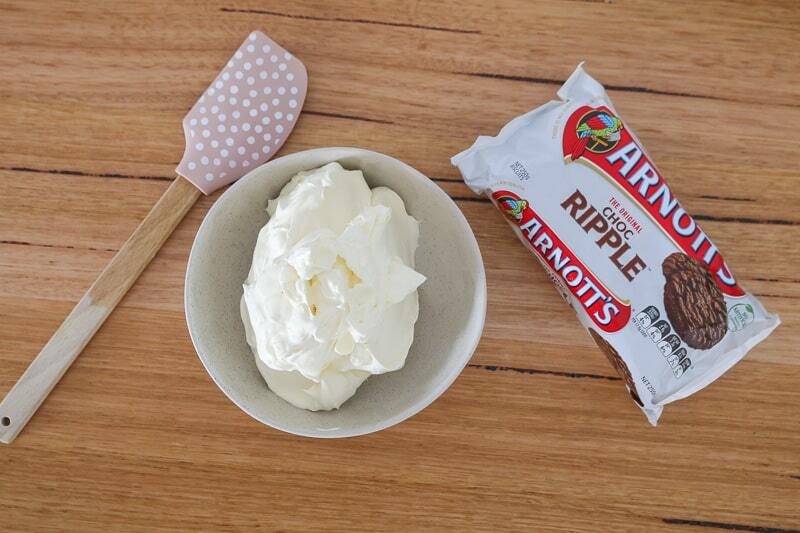 Spread a teaspoon of whipped cream onto the flat edge and place another chocolate ripple biscuit on top. Repeat until you have a stack of 3-4 biscuits in your hand. Place the stack standing upright onto the cream on the serving plate. Repeat with another 3-4 biscuits and then join that stack to the serving platter to form one long log. Repeat until all of the biscuits have been used. 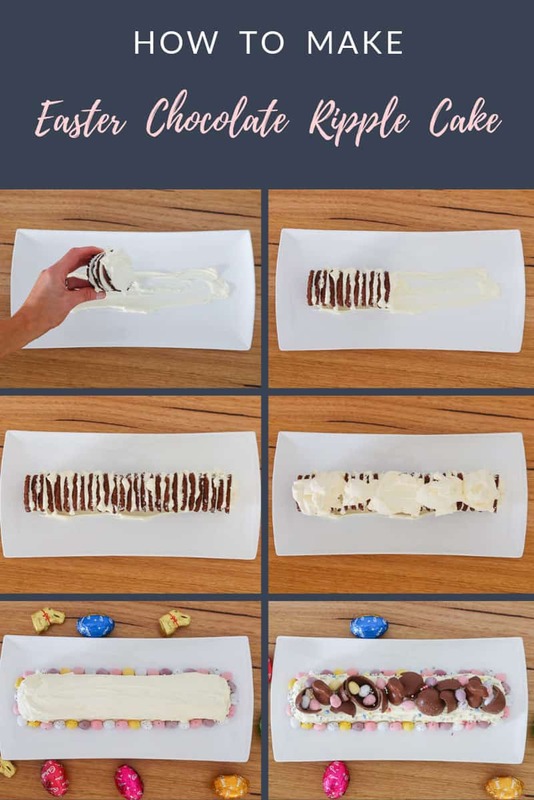 Use the remaining whipped cream to spread over the entire outside of the log. For best results, place in the fridge overnight before serving (as this will allow the biscuits to soften). 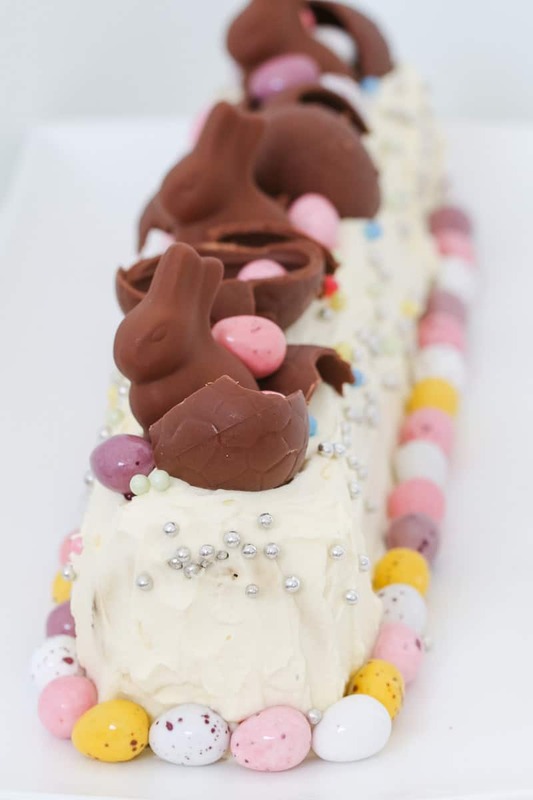 Decorate with Easter eggs before serving. 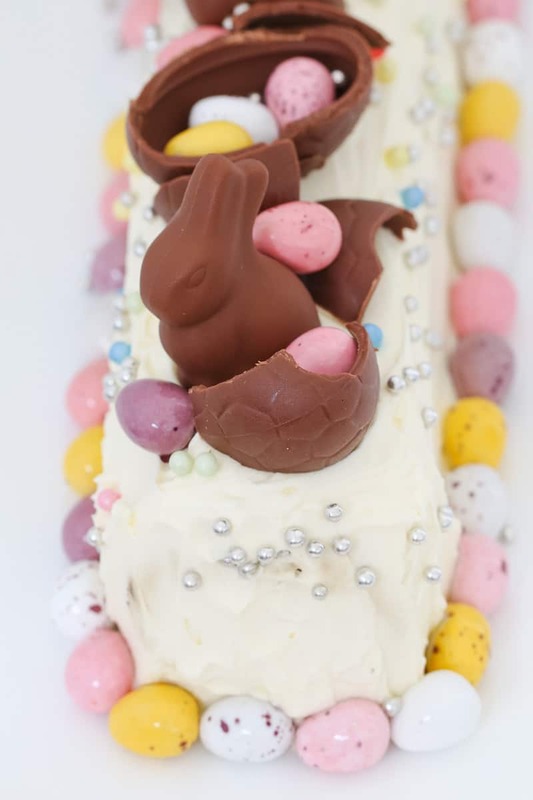 I used a mixture of hollow medium sized Easter eggs and solid mini eggs to decorate. Insert the butterfly into the Thermomix bowl. Add the cream, caster sugar and vanilla extract and beat on Speed 3 until soft peaks start to form. I used a combination of medium sized hollow Easter eggs and solid mini eggs to decorate.